Always dreamt of your very own playhouse to give cool tea parties in, to invite all your teddybears to or to play hide and seek? Enjoy fun adventures in Mister Tody’s color-in cardboard playhouse. Transform your living room into a world of wonders with Mister Tody’s cardboard playhouse. 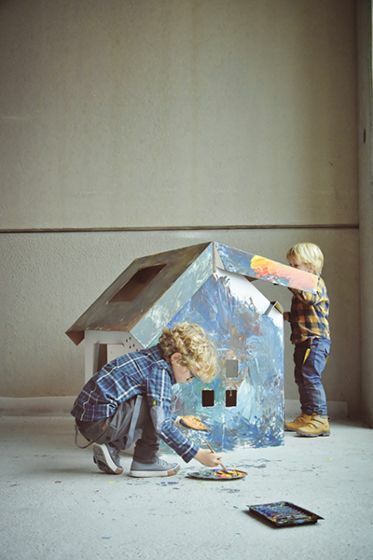 Let your kids imagination run wild designing its own wonderful playhouse. Ready for the (play)housewarming?